Upaya is a Sanskrit term referring to limitless possibilities. Upaya finds mention in Mahayana Buddhism as an aspect of guidance that recommends practitioners to follow their own specific techniques according to a prevailing situation in order to achieve enlightenment. The Upaya Yoga School is certified by US Yoga Alliance. Our Yoga Teacher Training & Yoga Retreat program will be the foundational stone in your journey to advance your Yoga practice and to feel acquainted with different layers of Yoga & Science.The Upaya Yoga will introduce you a lifestyle that will inspire you to live your life with intention. We at Upaya Yoga, combines yoga, meditation, and surfing with delicious quality nutrition and connection to nature to create transformational retreats. Upaya Yoga starts with basic Asana and setting your intention and then work toward helping you to reach your goals. 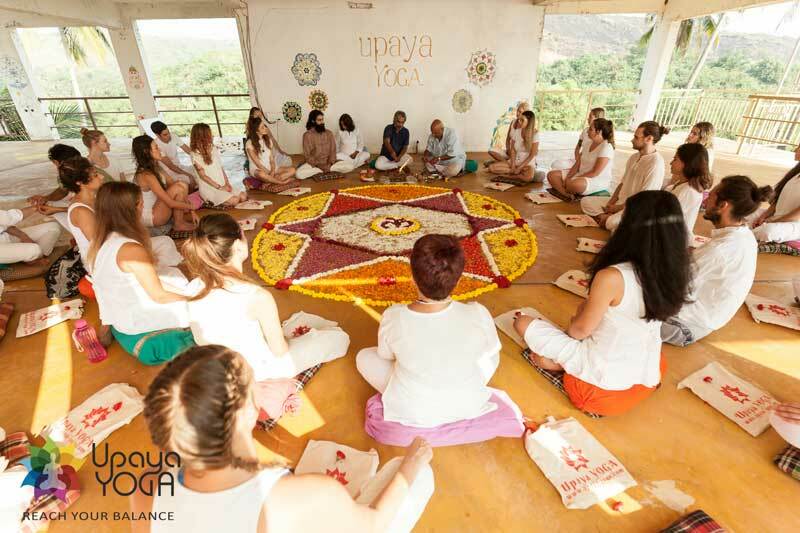 You will practice asanas, discover the philosophy of yoga, and learn the teaching methodology.You will build up self-confidence in such a way, that it will help you to find your own unique expression as an evolution of an inspiring yoga teacher.